Young children are just as likely to experience deeply rooted anxiety, fear, anger, and the many effects of failure as the adults in their lives. Living by faith and turning to Jesus in the midst of difficult circumstances is a challenge for adults and children alike, so how do we equip children so they can apply biblical truth to the specific issues in their lives, growing in their individual relationships with Jesus no matter what hardships they face? Good News for Little Hearts (October 8, 2018), a book series edited by David Powlison and Edward T. Welch and illustrated by Joe Hox, aims to provide that grace-based help for young children. 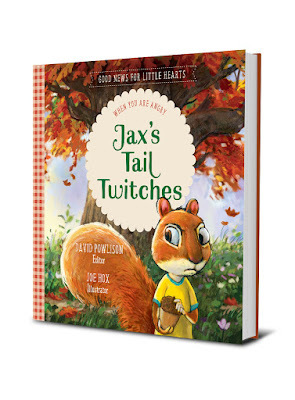 The series of hardback, full-color illustrated children’s books are geared toward three- to eight-year-olds, and each story focuses on an animal family facing real-life issues. Through each struggle or hardship outlined in the individual stories, the characters model hope in Jesus, bringing gospel help and biblical counsel to families. Parents and caretakers are encouraged to enter into meaningful conversations with their kids, teaching them to live by faith in the details of everyday life. The last page of each book contains information for parents on how to use God’s Word to help children apply biblical, gospel-based truths to specific issues. Enriching for both parents and children, the Good News for Little Hearts series is based on the Christian Counseling & Educational Foundation’s (CCEF) model of hope and help that encourages a growing relationship with Jesus. 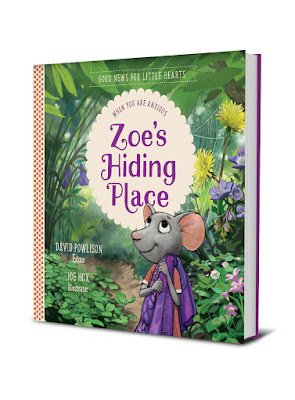 Edited by David Powlison, Zoe’s Hiding Place: When You Are Anxious is the story of Zoe, a fearful mouse who is worried about a class trip and learns that God is her hiding place in times of fear and trouble. She learns to turn each fear into a prayer, remembering that Jesus is always near—her refuge in times of trouble—a better refuge than even her purple quilt. Jax’s Tail Twitches: When You Are Angry, also edited by Powlison, is the story of Jax and his squirrel family who are all gathering acorns for the winter. While they are working together, each member of the family has to deal with his or her own frustration and anger when things don’t go they way they want. As they recognizing the roots of their anger, each member of the family, led by Papa Squirrel, also remembers God’s kindness to those who break the rules, and they ask forgiveness, making room for love and restored relationships. 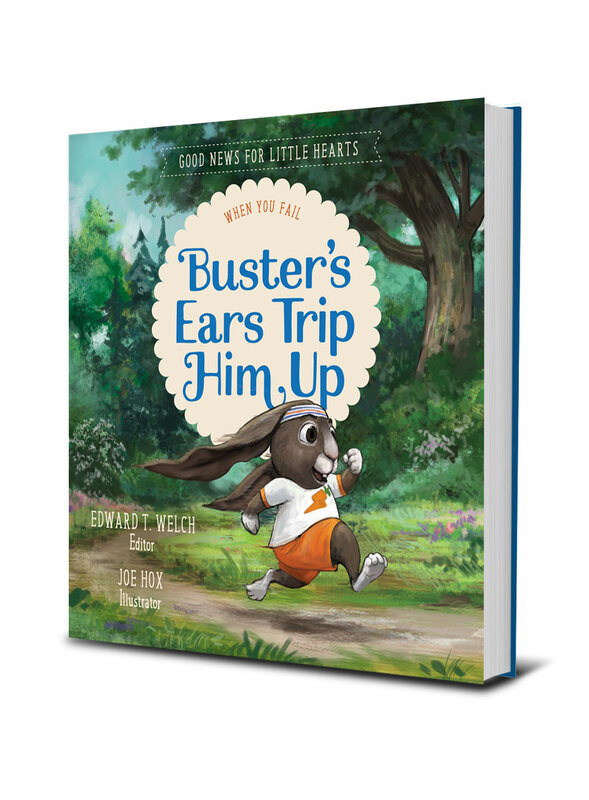 Edited by Edward T. Welch, Buster’s Ears Trip Him Up: When You Fail is the story of Buster, a lop-eared bunny, who thinks he is the fastest bunny at camp, but unexpectedly loses his race. His older sister, Ivy, helps him think about failure from God’s perspective, and he remembers where his identity is found and what the Bible says about his failure. Each story in the Good News for Little Hearts series helps children process challenging situations through a biblical lens, demonstrating practical ways to follow Jesus in the midst of hardship. Instead of moralism, each book focuses on grace and the hope we have in Jesus, not an ability to change on our own or a desire to change behavior alone. Each character depends on Jesus and, in turning to him, lives by faith. Through the animal characters, colorful illustrations, and real-life issues each animal family faces, young readers will be captivated throughout the stories, paving the way for Christ-centered conversations on important topics. David Powlison, MDiv, PhD, is Executive Director of Christian Counseling & Educational Foundation (CCEF) as well as a CCEF faculty member and Senior Editor of the Journal of Biblical Counseling. He holds a PhD from the University of Pennsylvania, as well as an MDiv from Westminster Theological Seminary. David has been counseling for over thirty years and has written numerous articles on biblical counseling and on the relationship between faith and psychology. His books include Speaking Truth in Love; Seeing with New Eyes; Power Encounters: Reclaiming Spiritual Warfare; and The Biblical Counseling Movement: History and Context, and God’s Grace in Your Suffering. He is also the author of numerous minibooks.